One of the most amazing things about creating the Gluten-Free Guidebook is that it’s introduced me to so many terrific people. A case in point: my friend Liisa P., a reader who lives in Arizona. I had the great pleasure of meeting her in person for the first time when I was on tour for my debut novel, The Damage Done, and I’ve been lucky enough to see her on each book tour since (my fourth novel, Blood Always Tells, came out in April). Liisa has written a Reader Report about Hawaii for the Gluten-Free Guidebook in the past. Here, she shares her experience in St. Maarten. Thanks so much, Liisa! We all know that eating Gluten Free can be hard and no one wants to be limited while travelling. So that’s why we share and connect in a network of bloggers, readers, and travelers to make it easier! I’ve been gluten free for 10 years and am lovin’ it! Dutch St. Maarten is more Americanized and friendly (imho) than the French side (Sint Martin) so you’re going to have more luck there. My advice… stay somewhere with a kitchen. We stayed at the beautiful Divi Little Bay Resort. Full kitchen. Go to the grocery store and to cut down on your meals out. Grocery stores have mostly the same food we do… just less of it. It’s not a gigantic Costco… it’s a regular grocery store. The *BEST* place to eat on the island for gluten free, hands down, is Pizza Galley. They offer gluten-free crusts and a harbor view. Hard to beat! They don’t open till dusk and are open seasonally but have great pizza options (try the Jamaican). Everywhere else on the Dutch side tried to be accommodating and salads ended up being the name of the day. 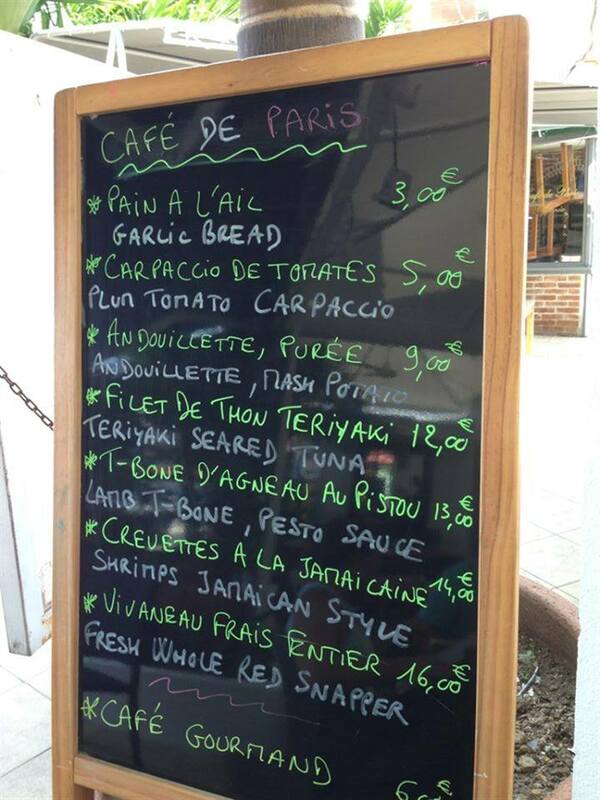 The French side… fuhget about… the one bright spot would be the small family restaurants, harbor side, in Marigot such as Le Chanteclair in the SXM Marine. These provided knowledgeable and accommodating staff. I never went hungry and never needed my emergency protein bar. Safe and happy travels! All photos courtesy of Liisa P. She is pictured at the top (second from the right) with friends at the Pizza Galley. 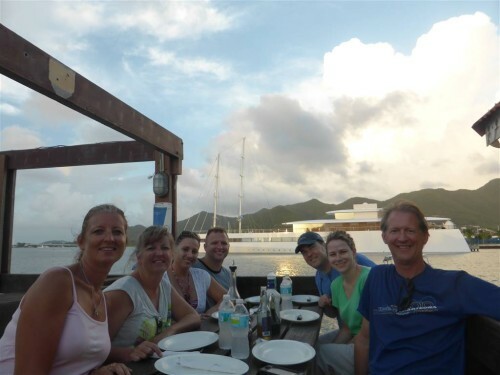 This entry was posted in Accommodations, Reader Reports, Restaurants and tagged Caribbean, St. Maarten by Hilary. Bookmark the permalink. I did a bunch of research too. I haven’t been there yet. Here is a list of what I found. I am going to St. Martin soon. I did a bunch of research. I copied parts of people’s comments. I created a map too, that’s why there are letters before each restaurant. I – Ocean 82 – 82 Bld de Grand-Case – 97150 Saint Martin FWI, Phone: +590 590 529 812 or +590 690 350 998 Has a gluten free menu. Looks kind of expensive. 3 – Top Carrot – $$ – Lots of GF options even some gf baked goods. 2 – Lee’s Roadside Grill – GF delivered with care. & – Tutta Pasta – Make special dish. This year had GF pasta. 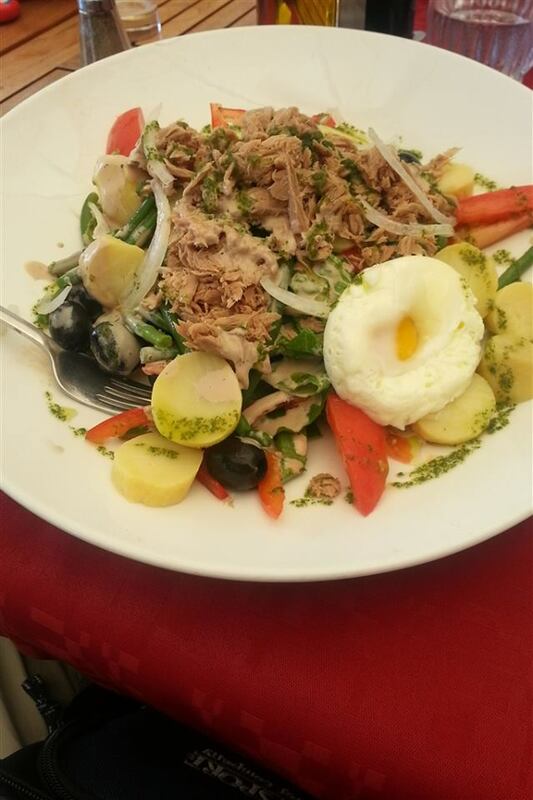 J – Canoa – We had several people at our restaurant with a gluten free diet and we adjust our menu, where possible, to your needs. Q – Mr Brusbys Beach Bar – $$ – has gf pasta but very limited.